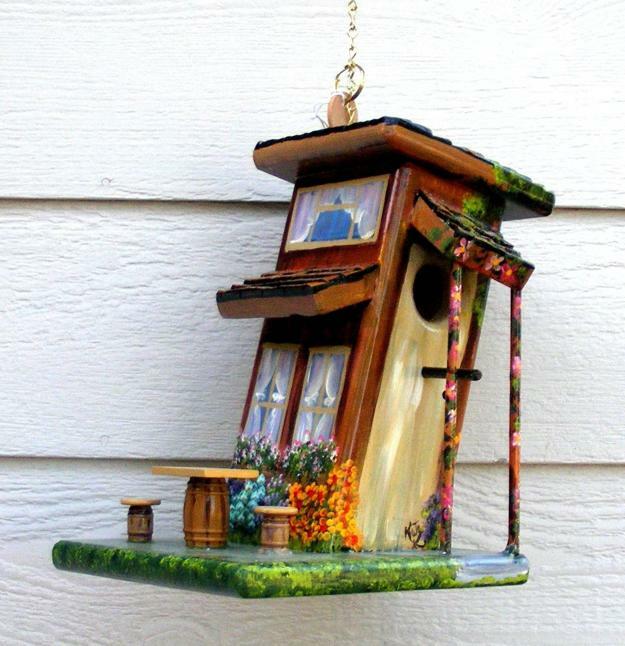 Colorful handmade birdhouse designs look beautiful on green branches and garden posts. 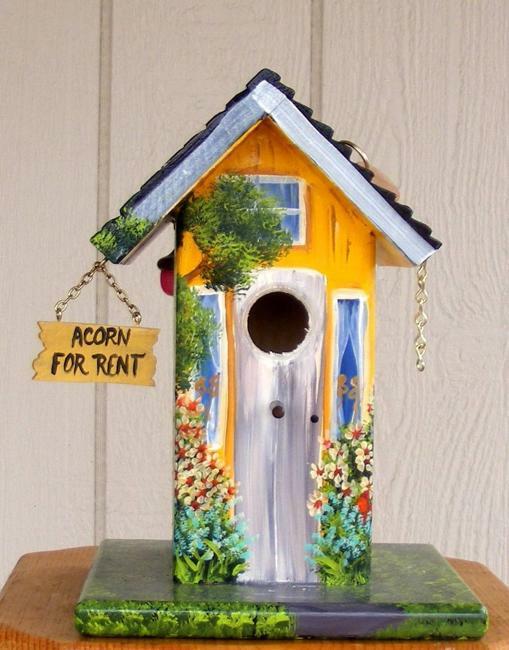 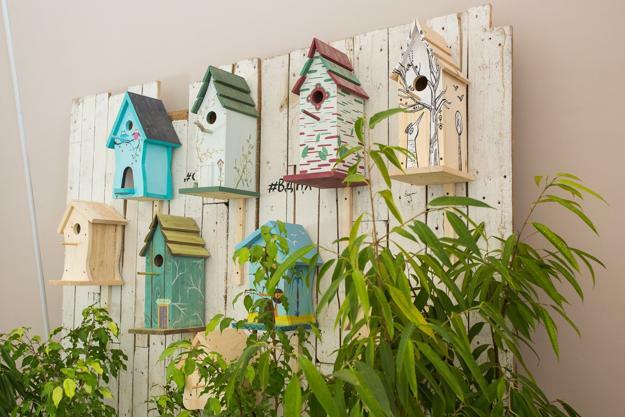 Creative painting ideas turn wooden birdhouses into bright yard decorations that enhance garden designs. 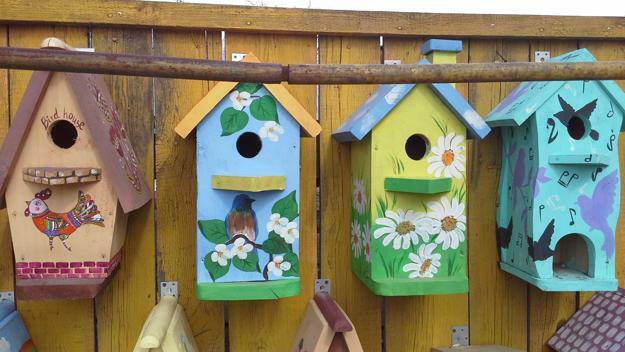 What better cheap decorations you can find for your outdoor living spaces? 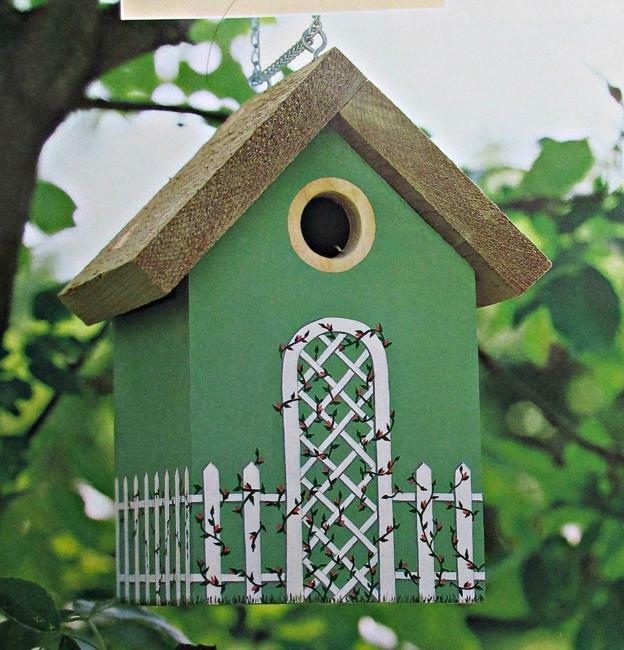 What are eco gifts more versatile, accessible, and bright? 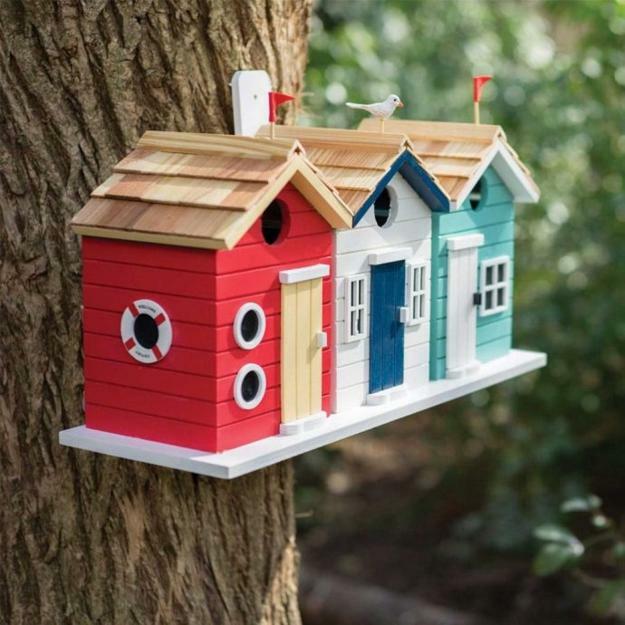 What unique gift ideas can you consider for kids and adults? 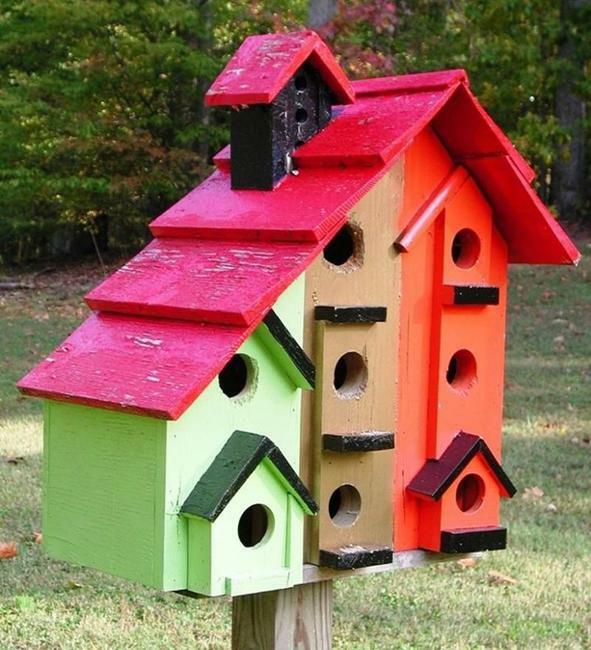 Birdhouses painted vibrant colors are the best gifts that you can buy or make for holidays. 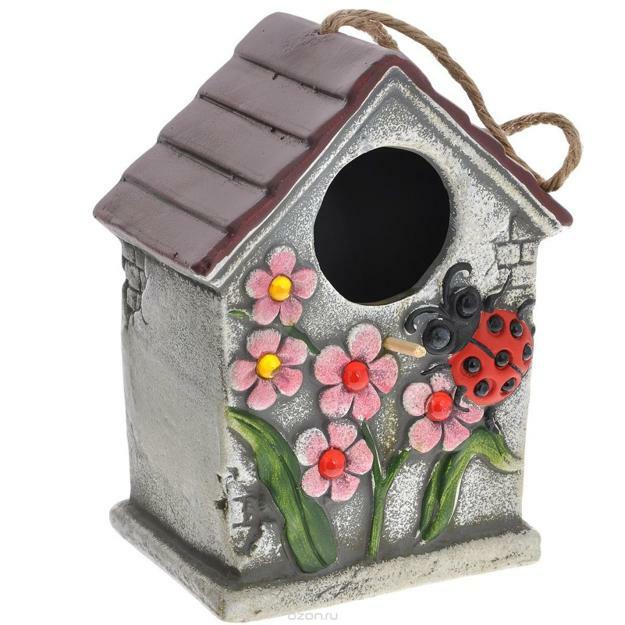 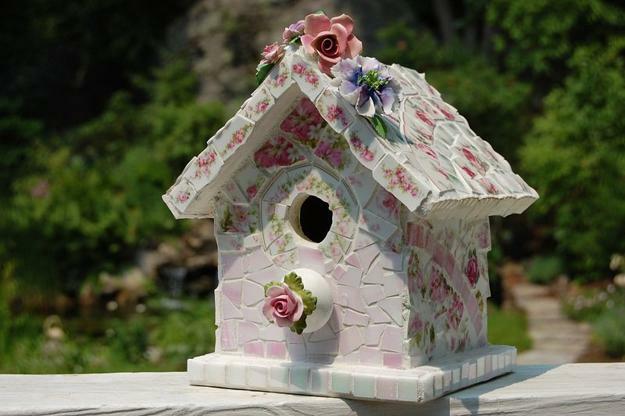 A stunning birdhouse and a bird feeder are cheap ideas and gorgeous yard decorations that will delight you, your friends, kids, and all family members. 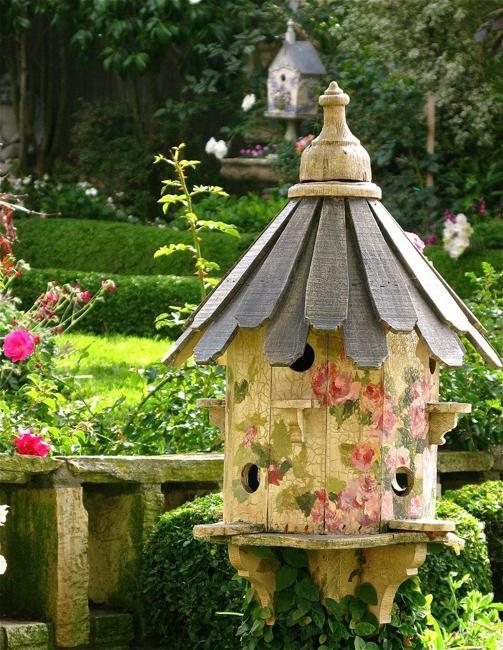 An enclosure or feeder attracts feathered friends to your garden and makes your home wildlife-friendly. 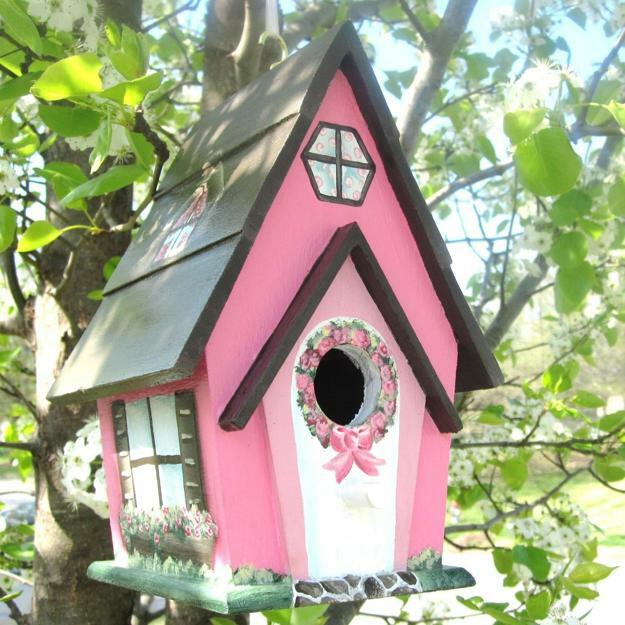 Birds will bring beautiful songs in spring and be thankful for food in feeders and safe enclosures for nesting. 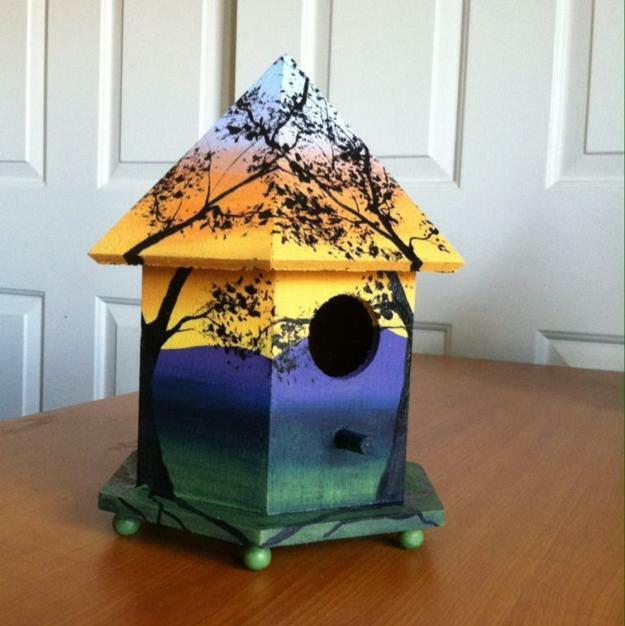 Look at colorful birdhouse designs, get inspired by vibrant painting ideas. 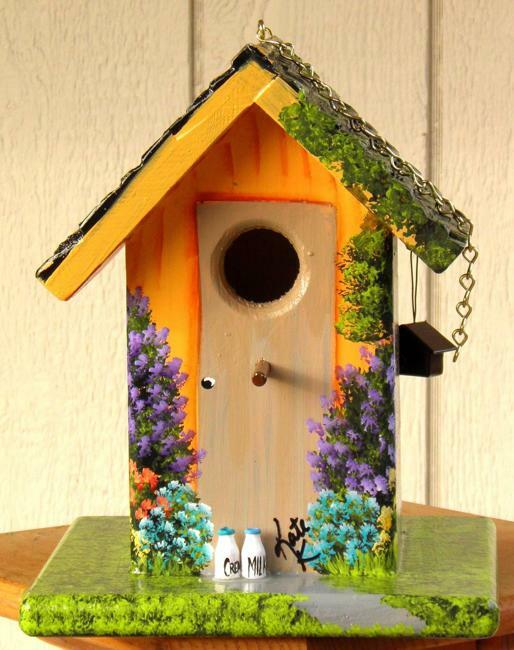 Consider building wood birdhouses for your garden and give them as eco gifts to your family members and friends this winter. 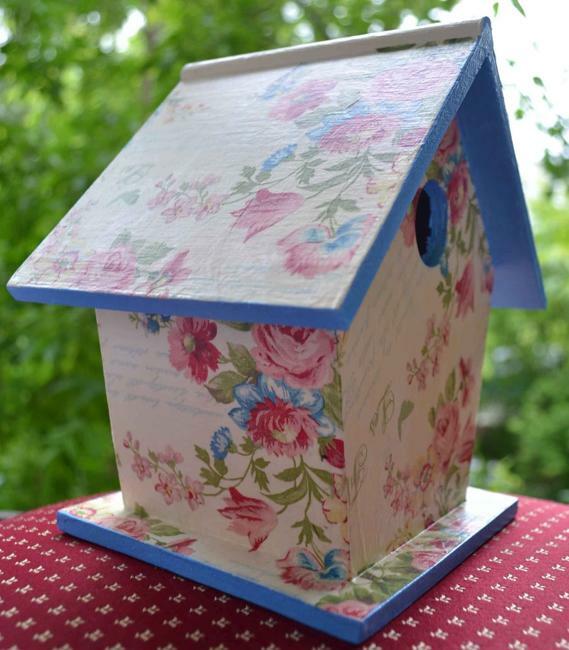 You can choose from a rustic birdhouse design to fancy painted ones. 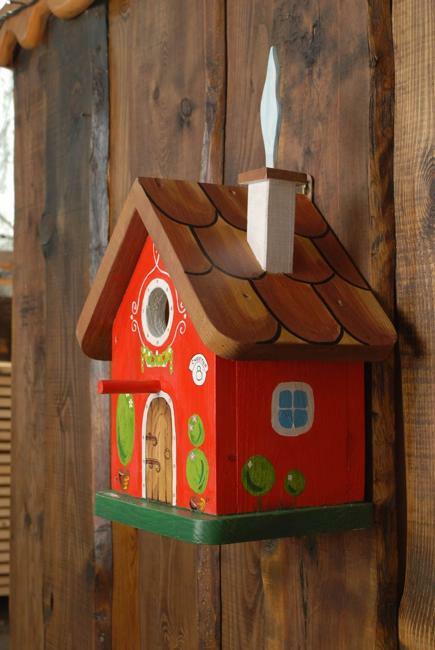 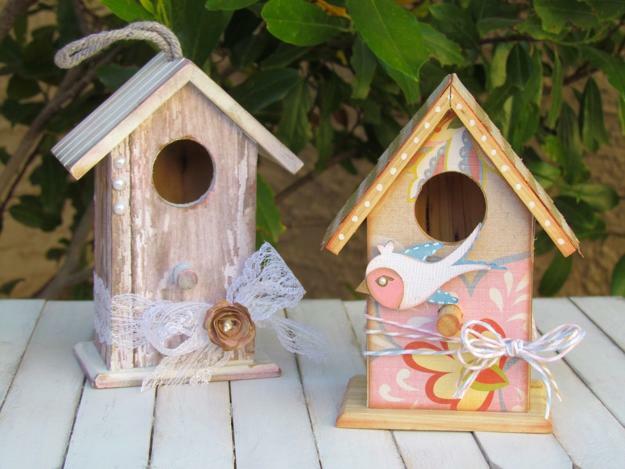 Wooden birdhouses, decorated or not, are lovely gift ideas and yard decorations for every home. 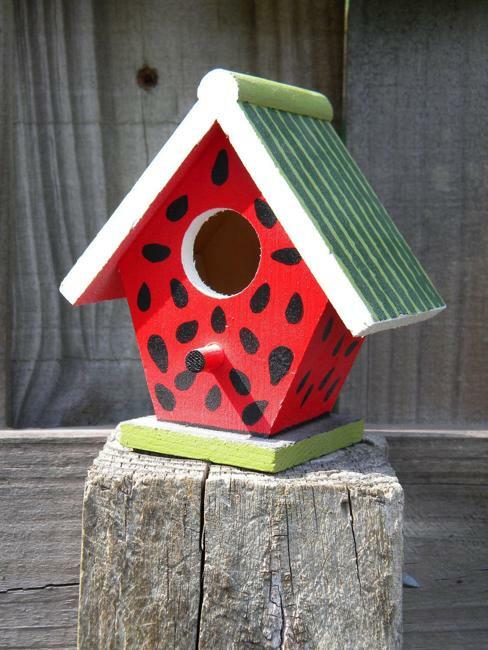 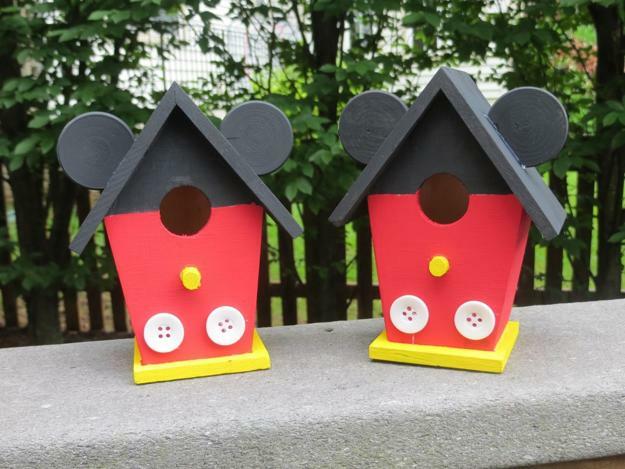 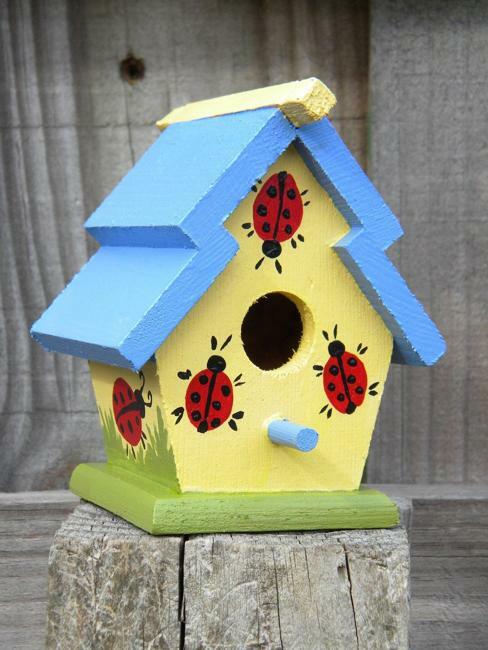 Recycle wood pieces and left-over paint to add personality to birdhouse designs. 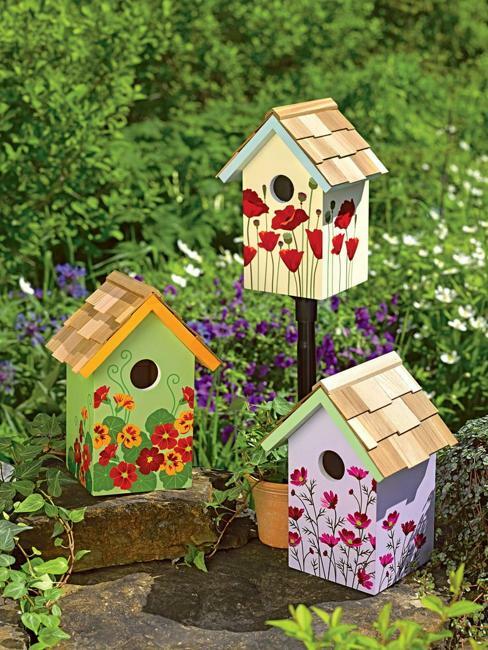 Turn the wooden houses into funny characters or use nature-inspired images to adorn your Green designs. 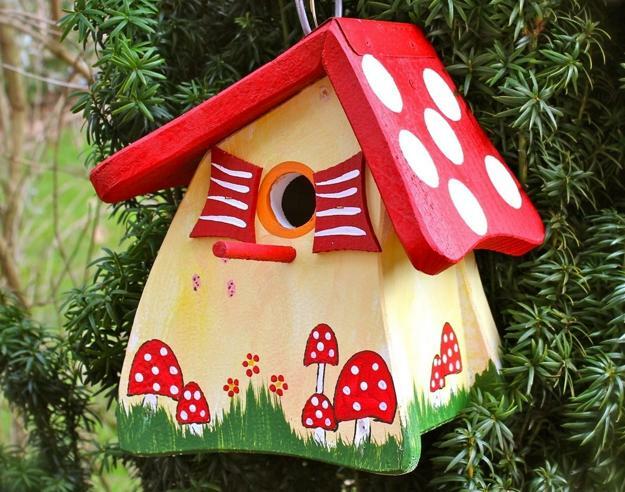 Check out the creating painting ideas from the Lushome collection of beautiful, handmade yard decorations below and find the design you like. 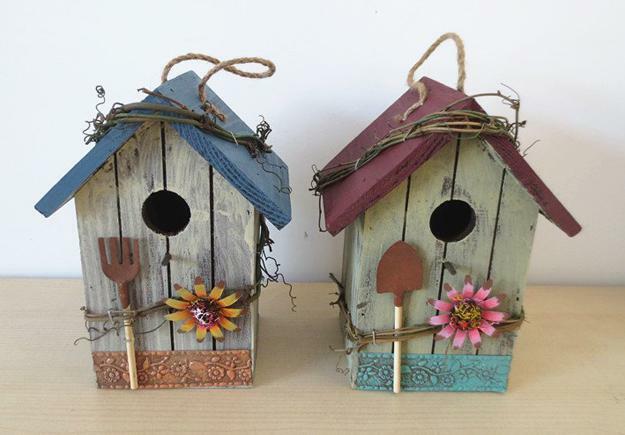 Steal the look or use your imagination to create something unique and original.